From 26 to 30 March, international exhibitions Technomebel and WORLD OF FURNITURE will bring together representatives of the furniture industry in Inter Expo Center, Sofia. In the course of five days, machinery, materials, current trends in interior design and furnishing will be presented at the leading exhibitions in Bulgaria for this sector. 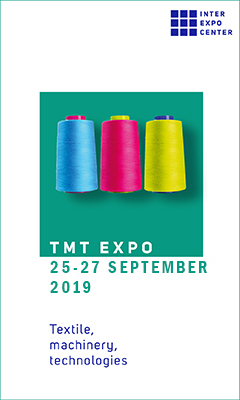 The specialized exhibition Technomebel presents the latest technologies in the furniture industry, woodworking machinery and equipment, design solutions and materials for furniture manufacturing. The event is a uniform platform for specialists in the woodworking sector and furniture industry. The exhibition held in parallel, World of Furniture, will once again offer opportunities for business expansion and getting acquainted with the current trends in all types of furniture, interior textile, interior architecture and furnishing. Establish a sustainable business, strong contacts, and keep up-to-date with current global trends with the help of the forums, demonstrations and company presentations on the latest developments in the industry, all of which will take place during the two exhibitions held in parallel. The organizers from Inter Expo Center and the Branch Chamber of Woodworking and Furniture Industry are preparing a number of exciting initiatives. 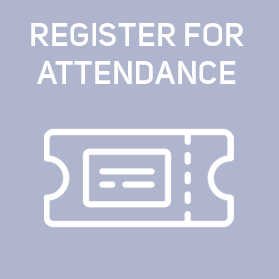 For yet another year, at the 2019 edition of Technomebel and World of Furniture visitors can take advantage of opportunities offered by Hosted buyers program, which include hotel accommodation, airline tickets, scheduled meetings with selected exhibitors. “This program makes your visit to the exhibition most effective since, in addition to everything else, it also offers scheduled meetings with selected companies,” our foreign guests commented at the previous edition. They highlighted the fact that Hosted buyers program opens new opportunities for Bulgarian and foreign companies by providing the atmosphere for establishing new contacts, participating in bilateral business meetings with the prospect of establishing partnerships, concluding transactions and expanding your activities on the international market. Representatives of the furniture industry emphasize the important economic significance of the sector. In 2017, the sector in Bulgaria marked a 7% growth, and furniture export exceeds 1.3% of the total export of the country. According to official data, over 20,000 people in Bulgaria are employed in the sector, and the number of companies is over 3,200. “Technomebel and World of Furniture are exhibitions of essential importance for Eastern Europe and Bulgaria,” participants commented during the previous edition. As early as then, 90% of them planned their future participation and booked their stands. This is why the furniture industry is getting together in Bulgaria once again – from 26 to 30 March, in Inter Expo Center, Sofia. Find out everything about the exhibitions at technomebel.bg.